Here at Who What Wear UK, we're in full party mode, and, no, that doesn't mean swigging on champagne at 3 p.m. on a Thursday (sadly). It does, however, mean we've spent many hours scouring the shops to make sure we're up-to-date with all the latest dress drops and party trends. Our latest discovery? Zara is delivering the chicest party shoes right now. We're talking '90s-inspired square-toed sandals, pointed-toed kitten heels and plenty of fabulous flats. This is the place to go if you're looking for a pair of trend-led (read: non-tacky) shoes minus the designer price tag. 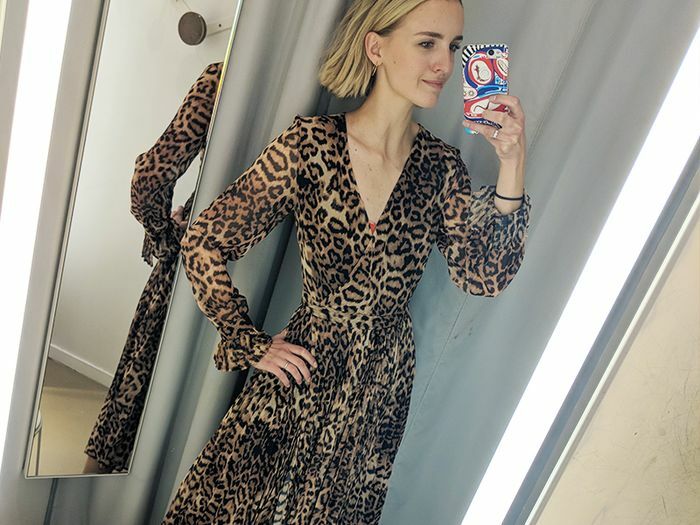 During a recent visit to the Zara showroom, I decided to try on a few pairs to see how they felt, and you'll be happy to know that they didn't disappoint. 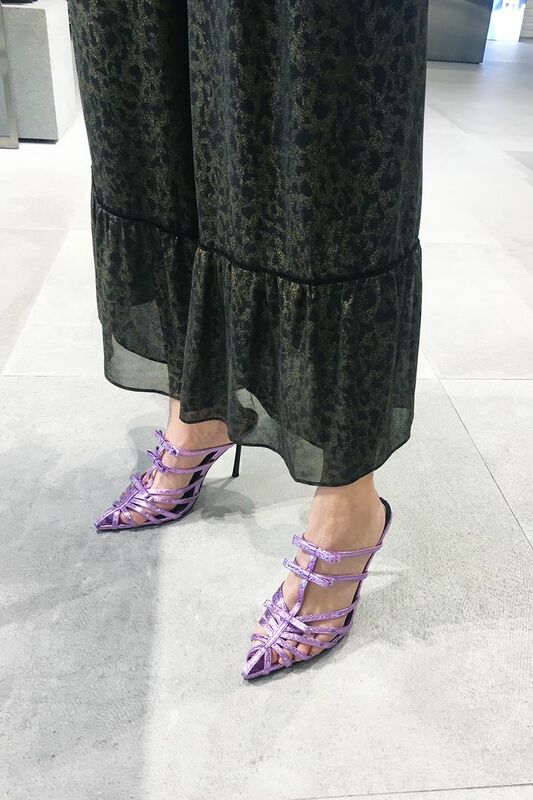 My favourites had to be a statement pair of strappy purple mules (so unlike me), which were super comfortable and packed with personality. Scroll down to see the looks I loved, and then shop my party-shoes edit. Style Notes: This strappy purple pair isn't available online yet, however, I recommend snapping them up when they drop, as they were one of my favourites in terms of comfort and style. Style Notes: If you're not a fan of the strappy styles that are everywhere at the moment, this pointed black pair offers a great alternative. Style Notes: Not usually a fan of bedazzled shoes, I was surprised by how much I liked this ankle-strap pair. They've got the on-trend '90s simplicity but with an extra party-ready embellishment. Style Notes: This is another pair which is set to drop on Zara's website any day now. With just the right amount of colour and sparkle, they make for a good middle ground between a pair of minimalist strappy sandals and the extroverted, all-bells-and-whistles variety. The cage-strap detail on these is so cool. Add some shimmer to your party look. This kitten-heeled pair gives good colour clash. A classic style for all your '90s needs. These would look great with an LBD. A great alternative to heeled strappy sandals. Obsessed with the teal colour of these flats. These shoes will make a serious statement. These '70s-inspired platforms were born to be worn with a party suit.